In January 2017, Action Contre la Faim (ACF) launched a new guidebook to support multi-sectoral solutions to undernutrition through integrated approaches with the water, sanitation and hygiene sector (WASH). It is an operational guidebook which demonstrates the importance of both supplementing nutrition programmes with WASH activities and adapting WASH interventions to include nutritional considerations i.e. making them more nutrition-sensitive and impactful on nutrition. Apart from encouraging the design of new integrated projects, the guidebook provides support for reinforcing existing integrated interventions. It does not provide a standard approach or strict recommendations, but rather ideas, examples and practical tools on how to achieve nutrition and health gains with improved WASH. Integrating WASH and nutrition interventions will always have to be adapted to specific conditions, opportunities and constrains in each context. 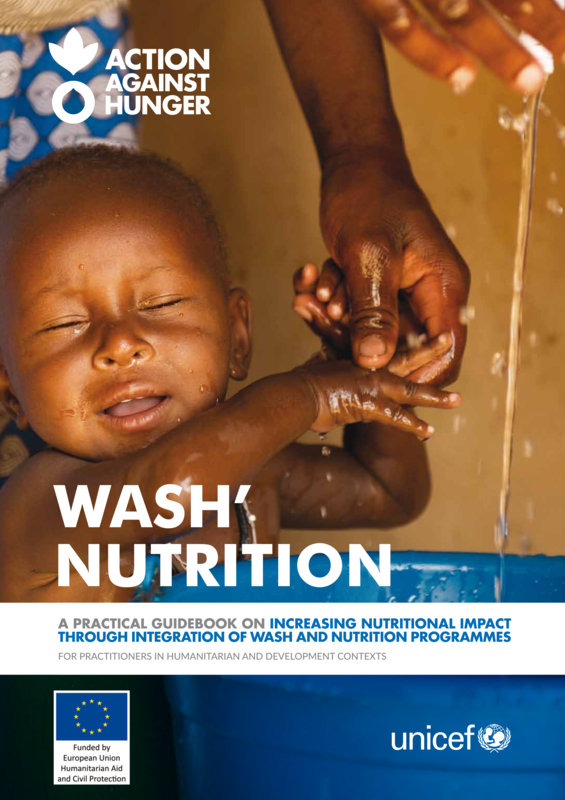 The guidebook primarily addresses field practitioners, WASH and Nutrition programme managers working in humanitarian and development contexts, and responds to the need for more practical guidance on WASH and nutrition integration at the field level. It can also be used as a practical tool for donors and institutions (such as ministries of health) to prioritise strategic activities and funding options. The guidebook also contains a number of notes, boxes with tips and further comments, links to web pages and suggested reading. Throughout the guidebook, practical examples from the field (case studies), collected from ACF missions and the contributors are featured.